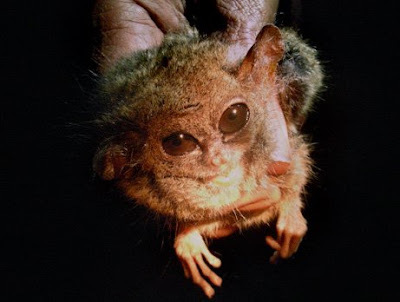 The first sighting of a pygmy tarsier in more than 80 years is celebrated. This sounds like good news...unless it sends the poachers after those that remain (or is indicative of extirpation from a final patch of surviving habitat etc etc). In the contemporary West we tend to think of the various tarsier species as cute, as well as fascinating. But I recently heard David Macdonald say that local people in an area of S E Asia where he worked in the 1970s (I think) would deny ever seeing them at all because to do so was believed to cause stillbirth in women and all other kinds of bad luck.